Green Ring Binder with Inscription Know-How. イラスト素材: Green Ring Binder with Inscription Know-How. 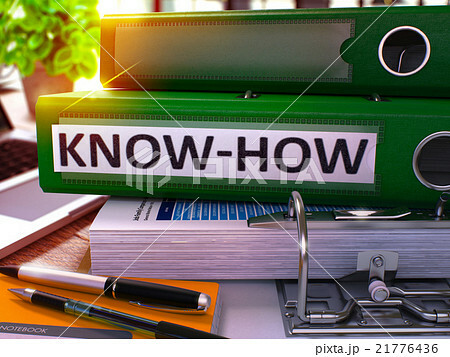 Green Ring Binder with Inscription Know-How on Background of Working Table with Office Supplies and Laptop. Know-How - Toned Illustration. Know-How Business Concept on Blurred Background. 3D Render.